Donald Trump’s son-in-law Jared Kushner did not disclose his personal e-mail account, which he used for White House business, to the Senate Intelligence Committee. In his closed interview with committee staff in late July, Kushner never mentioned the account. Reports earlier this week disclosed that Kushner e-mailed former White House chief of staff Reince Priebus; former chief strategist Steve Bannon; National Economic Council director Gary Cohn; and spokesman Josh Raffel. Bannon and Priebus also used private accounts for correspondence. 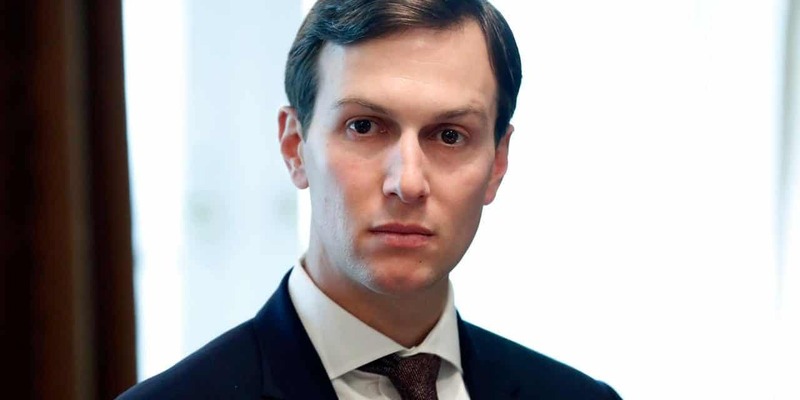 Following publication of the reports, Senators Richard Burr and Mark Warner, the chair and vice-chair of the committee, wrote Kushner. They instructed him to double-check that he has turned over every relevant document from “all other” e-mail accounts, messaging apps, or “similar communications channels”. CNN obtained the Burr-Warner letter when the office of Kushner’s attorney, Abbe Lowell, accidentally forwarded it to an “e-mail prankster” in the UK. Kushner has repeatedly failed to submit required information during his time as White House advisor. He withheld details of more than 100 contacts with foreign officials, including those from Russia, from his White House security clearance form. Filing the information months later, he claimed the omission was an oversight. Among the meetings were discussions with the Russian Ambassador to the US and the head of a Russian State bank whom Kushner may have approached for loans to help cover hundreds of millions of dollars of debt in a troubled New York City skyscraper project. Kushner has also not fully disclosed financial information, such as ownership of a multimillion-dollar technology company with links to Goldman Sachs and businessmen Peter Thiel and George Soros. Health and Human Services Secretary Tom Price, under pressure over his use of government-funded private jets to fly to his properties and visits with family and friends, has agreed to repay a small part of the cost. An HHS spokesperson said on Thursday that Price would reimburse the Treasury for $51,887.31, the amount of his seat on the private flights. The White House said Thursday it was considering new rules for oversight of administration officials’ use of private planes. Treasury Secretary SteveN Mnuchin has used military aircraft for trips unrelated to national security, and Environmental Protection Agency head Scott Pruett has also used private charter flights rather than commercial carriers. “Two Republican sources familiar with discussions at the White House and on Capitol Hill” said Food and Drug Administration commissioner Dr. Scott Gottlieb and the Centers for Medicare and Medicaid Services administrator, Seema Verma, are being mentioned as possible replacements for Price. The Trump Administration finally waives the Jones Act, a century-old shipping law, to assist delivery of aid to Puerto Rico after Hurricane Maria struck last week. The administration has been criticized for its slow response, in contrast to the high-profile efforts for Texas and Florida after Hurricanes Harvey and Irma earlier in the summer. Several members of Congress had requested the waiver earlier in the week. Shelters have ran out of supplies, with residents lining up all night to purchase ice and fuel, only to walk away with a bag of cold water or just a few gallons of gas. People are complaining of an absence of basics such as tarpaulinss for roofs and of the continuing lack of running water. Officials still struggled to get supplies out of port to be distributed across an island of 3.4 million people where there is no electricity and scant phone service. Hospitals ran low on diesel for generators. The Jones Act, formally known as the Merchant Marine Act of 1920, requires goods shipped between points in the US to be carried by vessels built, owned and mainly operated by Americans. The waiver, on the authority of acting Director of Homeland Security Elaine Duke, will be in effect for 10 days. Puerto Rico Governor Ricardo Rosselló and federal officials said on Thursday said that more fuel, food, and flights were beginning to reach the island after more than a week of widespread shortages of water, food, and basic necessities. Rosselló and officials said they were setting up 11 regional centers to distribute aid. Federal officials said these centers had received two million liters of water and almost one million meals, and more are in the pipeline. Rosselló said that 689 of Puerto Rico’s 1,100 gas stations were now open, but lines at many stretch for a quarter-mile with people spending days to fill up a few plastic jugs with fuel for cars or generators. …really hard to help but many have lost their homes. Military is now on site and I will be there Tuesday. Wish press would treat fairly! Senators investigating Russia’s interference in the 2016 election criticize Twitter for failing to investigate misuse of the social media platform. [This] showed an enormous lack of understanding from the Twitter team of how serious this issue is, the threat it poses to democratic institutions and again begs many more questions than they offered. Their response was frankly inadequate on every level. Twitter said that it had found about 200 accounts that appeared to be linked to the Russian influence campaign — a small fraction of the number found by outside researchers. The platform said it identified the accounts by looking for links to 470 fraudulent Facebook profiles and pages that had already been identified by Facebook investigators. Russian-linked actors are already under scrutiny for placing at least 3,000 ads on Facebook, using fake accounts, and impersonating real organizations— including an American Muslim activist group — to spread disinformation, much of it damaging to Democratic nominee Hillary Clinton. Representative Adam B. Schiff, the top Democrat on the House Intelligence Committee, was more amenable about Twitter’s briefing. I think there is a great deal more that we need to know, a great deal more that Twitter needs to find out. At the same time, I don’t think we have more than scratched the surface of our understanding of how the Russians may have used that platform. Illegal border crossings are surging as migrants try to beat construction of any wall on the US-Mexican border. After hitting a 17-year low in April, border apprehensions rose from 11,125 to almost 22,300 in August. An additional 8,300 people turned themselves in at border stations, seeking asylum, or other forms of assistance. Trump had boasted this spring that his crackdown on immigrants was deterring crossings. Despite the rise, apprehensions are 41% lower than August 2016, and they are 24% lower this year compared to the same period in 2016.